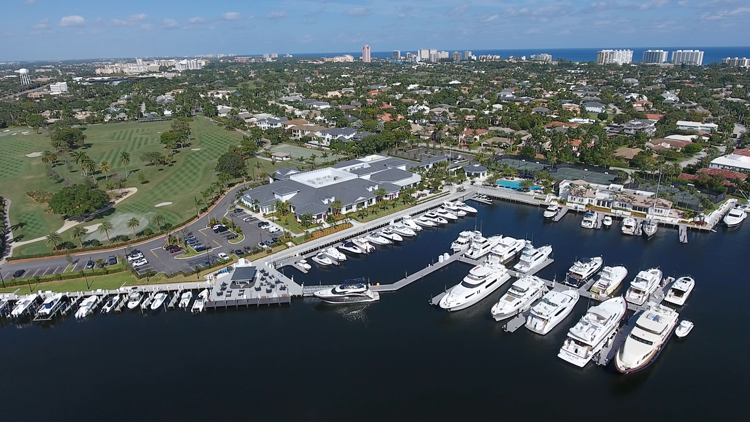 Considered one of the most exclusive and prestigious yachting communities in the country, Royal Palm Yacht & Country Club has been home to some of the world’s wealthiest and most prominent families since 1959. The community provides 24-hour guarded privacy and access to a myriad of amenities to enhance a luxurious lifestyle. The Royal Palm Yacht & Country Club is ideally situated near Boca’s prized Mizner Park and the Boca Raton Inlet, providing convenient access to the ocean waves for yachters and boaters. Royal Palm Yacht & Country Club is situated just minutes south of downtown Boca Raton’s beautiful Mizner Park, which offers world-class shopping, dining, and entertainment. Private aviation facilities are available at Boca Raton’s executive airport, which is only about 12 minutes away by car. The subdivision is separate from the private club, but residents may choose to become members to access a myriad of exclusive amenities. Royal Palm Yacht & Country Club has a full-service marina, a Jack Nicklaus golf course, a fitness center, a swimming pool, tennis and croquet courts, and a selection of fine dining establishments. Royal Palm Yacht & Country Club is a yachter’s paradise. Many estates in the enclave are equipped with their very own private dock, some accommodating vessels over 100 feet in length. The waterways in Royal Palm lead to the Boca Raton Inlet, situated just northeast of the club, providing access to the vast Atlantic Ocean. Royal Palm is a gated community, offering a sense of privacy and security for the community’s high-profile residents. The entrance to the 450-acre club community is manned by staff 24 hours a day. Royal Palm hosts some of the region’s most glamorous estates, from waterfront retreats to luxury golf course estates overlooking the magnificent signature design course by the legendary Jack Nicklaus. Compound-like estates in Royal Palm encompass multiple lots and enjoy the many amenities and overall prestige of living in this exclusive community in the heart of Boca Raton. Royal Palm has a total of 700 estates, some encompassing more than 20,000 square feet of living space atop 2–5 combined lots. Prices range from $1,4 million to over $20 million. 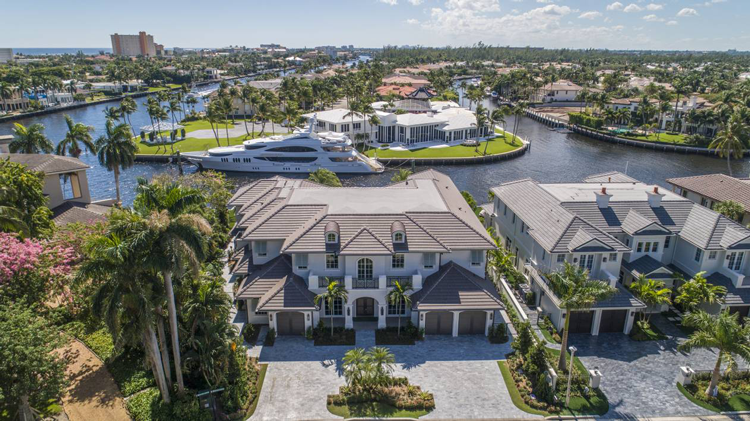 Premier Estate Properties has been involved in some of the most significant sales in Royal Palm, including a $12.9 million deep-water estate, a $10.1 million Intracoastal estate, and a $9 million golf course property. Considering an Investment at Royal Palm? Let Premier Estate Properties be your guide. Established in 1993, Premier Estate Properties continues as Florida’s only boutique luxury real estate brokerage presenting properties exclusively in excess of one million dollars. We are distinguished for our successful marketing, the largest percentage of sold million-dollar-plus properties, and our concierge-level of personalized service. Plus, our agents are extremely knowledgeable about the local market, including Royal Palm real estate. Contact our Boca Raton office for more information about Royal Palm Yacht & Country Club.